As parents become more health conscious and aware of the potentially dangerous chemicals in processed foods, many are searching for organic baby food. You can make baby food using orgnanic recipes, however, many parents don't have time to do that. Fortunately, there are a lot of options for organic baby foods. These organic baby foods are all certified organic, pesticide free, and have won awards for their delicious offerings for babies. Co-founded by renowned chef Tyler Florence, Sprout offers a nice variety of organic baby food alternatives. All products are made with certified organic ingredients and contain no preservatives or artificial additives. Instead, chef Florence used his culinary expertise to create unique recipes that use high-quality ingredients and pack a high-powered nutritional punch. 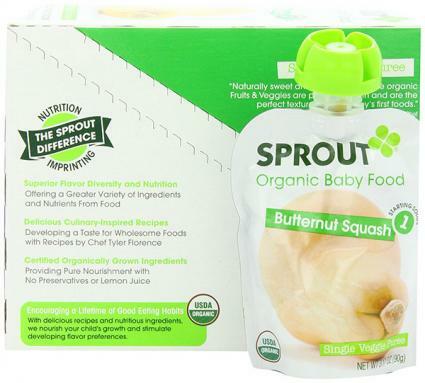 Sprout uses ingredients not often found in baby food such as brown rice, quinoa, white beans and risotto and has won praise and awards from many sources including Specialty Food, Parenting, and Healthy Tasty Chow. Baby foods are available by growth stage and can be found at most major grocery stores, Walmart, and online. Cost varies by type and stage of food, but it is comparable to other organic baby food brands. Five-packs of stage one foods in BPA-free packaging generally range in price from $7.99 - $9.99. Plum Organics was created by Neil Grimmer after the birth of his daughters. He recognized how critical good nutrition is during the earliest stages of a child's life and decided to offer products that would help parents give their kids the best start possible. The company and its products have been featured in an impressive number of magazines, newspapers and blogs. 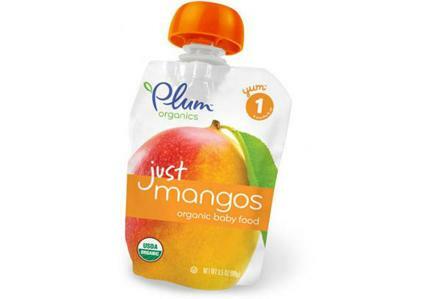 Plum Organics feels that a child's taste buds should be exposed to a wide range of foods. So they include ingredients not traditionally found in baby food such as pumpkin, dates, Greek yogurt, amaranth and chia. Products are available by growth stage and may be ordered at the company's website or found in some grocery stores, Target, Walgreens, Walmart and BabiesRUs. All products are organic with no additives or preservatives and come in BPA-free packaging. Again, cost varies by type and stage of food and where it's purchased. On Plum's website, a 6-pack of stage one mangos is $9.14. Convenient multi and variety packs are also available. Yummy Spoonfuls organic baby food is flash frozen at the peak of freshness and comes to you freezer-ready. The product launch for Target was a star-studded affair, attracting celebrity moms including Anne Hathaway and Soleil Moon Frye. Products are certified organic, BPA-free, gluten free and contain no artificial ingredients or fillers whatsoever. Baby food options are broken down by stage and texture -- creamy, mushy and chunky. You can purchase products online at Yummy Spoonfuls' website, Amazon, Whole Foods stores and many natural foods stores (in the freezer section). Four-ounce baby food cups cost $6.00 per pack of three. Six-ounce cups are $9.00 per three pack. Created and operated by Moms, Happy Family offers organic food choices for the entire family, including baby. All options are USDA certified organic and BPA-free. The award-winning Happy Family company doesn't add anything artificial to their foods but they do add extra nutritional value in the form of probiotics, super grains and important vitamins and minerals such as DHA, magnesium and vitamin D.
Baby foods are available by growth stage. Selections range from oatmeal, whole grain and brown rice cereals and single fruits and vegetables for new eaters to homestyle meals and yogurt fruit snacks for toddlers. Products are available at many grocery stores including Whole Foods, Wegmans and Food Lion or online at Amazon, Freshdirect and Vitacost -- just to name a few. Cost varies by product but FreshDirect offers a seven ounce can of oatmeal cereal for $3.19 and a 3.5 ounce stage one pouch of mangos for $1.99. Happy Family gives back a portion of every purchase to Project Peanut Butter to help starving children in Africa. 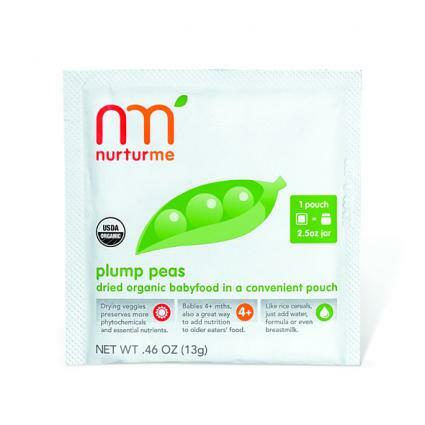 Conceptualized by two friends over a plate of nachos in 2008, NurturMe is making a name for itself as a serious contender in the organic baby food industry. The company offers USDA certified organic, non-GMO foods with no added preservatives, sugars or salt. They've won several awards including Coolmompicks.com pick of the year 2010 and the prestigious MACT award. Instead of offering traditional pureed baby food, NurturMe's foods comes to you freeze dried, making them a great on-the-go option for busy families. You simply add breast milk, formula or water to prepare. Foods are offered by stage from four months to four years old. Look for NurturMe products in your local natural foods store or grocery stores and retailers such as Whole Foods, Wegmans, Walgreens, Target, and Ralphs. Baby food is also available online at Amazon, Abe's Market and FreshDirect. Earth's Best offers an impressive variety of organic baby foods. All of their baby and toddler foods are USDA certified organic, GMO-free and contain no added salt, sugar, starches, preservatives, flavors or colors. 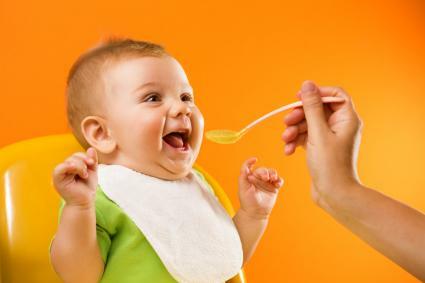 Selections include formula, cereals, fruits, vegetables and meats for babies in all eating stages. Kiwi Magazine included Earth's Best in their list of organic baby foods to consider in 2015. Earth's Best products are found in most grocery stores including Safeway, Genuardis and ShopRite, BabiesRUs and many online retailers including Amazon. You can also purchase products directly online. Prices vary by stage. A six-pack of first stage foods costs $3.90 and a twelve-pack costs $7.41. Ella's Kitchen award-winning, 100 percent organic baby foods were created by "Ella's Dad" Paul, who believed kids should have better and healthier food choices. 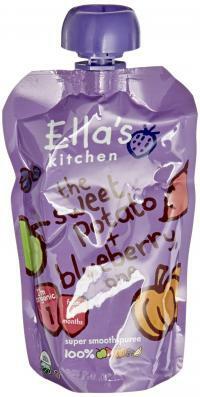 Ella's Kitchen offers foods by stage in kid-friendly packaging that features bright colors and whimsical graphics. Children with sensitive tummies or special dietary needs will appreciate the lactose-free, gluten-free and vegetarian food options. In addition, all of their foods are soy and peanut-free. You can purchase Ella's Kitchen baby food online where a seven-pack of first stage mangos costs $9.91. You can also find some of their products on Amazon. While research is ongoing about the benefits of feeding your child organic baby food, some doctors feel that even small amounts of pesticides and other chemical ingredients can adversely affect a baby's developing organs and growth. With so many economical, organic options easily available, it makes sense to feed your child the purest products possible. Discuss your child's nutritional needs with your pediatrician and make organic baby food a part of your child's balanced diet to give him or her the best nutritional start.